The American Physical Therapy Association has written a tremendously informative article on concussions entitled "Physical Therapists Guide to Concussions." This is important for everyone to read! Not only do concussions happen in contact sports and with serious falls, but are also common with motor vehicle accidents. 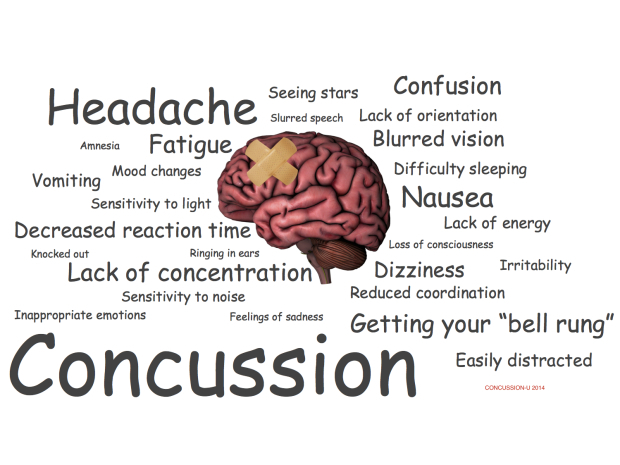 It is important to know the symptoms of a concussion so you can get medical help as soon as possible. As the article points out, physical therapists are vital in concussion management. We see our patients over a longer duration of time and for longer individual sessions than a physician can. This allows us to fully assess your deficits and help tease out what may be related to a concussion and what may not. It also allows us to more clearly see how you are progressing over time. We can help treat your dizziness, muscles weakness and lack of endurance, and refer you to other providers who might help speed your recovery. At Integrate 360 Physical Therapy, we look at the body's mechanics as a whole and how the neurological system is assesses incoming information. Through our specific Postural Restoration exercises, we are able to help restore musculoskeletal position and functional strength to help the body work as a whole again. We also have trusted dentists, neuroptometrists and podiatrists we work with if we think your system needs more specific evaluation and treatment. Last year, I worked with a gentleman who sustained a significant concussion and continued to have symptoms (particularly headaches, dizziness, and visual disturbances) so severe he was unable to work, even several months after the injury. He was told by his doctors to be patient and that his symptoms would ease over time. When he came for his physical therapy evaluation, his musculoskeletal position was greatly disturbed. With our specific Postural Restoration exercises, his joint position was corrected allowing him to have better awareness of where he was in space. We then strengthened him in this position to maintain proper global alignment. This significantly eased his complaints of dizziness. He continued to complain of visual disturbances so he was referred to a neurooptomotrist we frequently work with. After treatment with the neuroptometrist, his visual disturbances were eased and his headaches were infrequent.